The challenge registration is opened until January 31st, but you don't need to wait until the registration deadline to start taking lessons. You can do it ASAP! The earlier you take lessons, the more completed hours you accumulate, the more chance you'd have to win rewards. You will be eligible to enter a lucky draw of $500 for a trip to your favorite country. Besides, Italki will donate $1 to Wikitongues, a non-profit organization registered in New York since 2012 whose activities include the production of interview content to record phrase books, word lists, and oral histories in as many languages as possible. 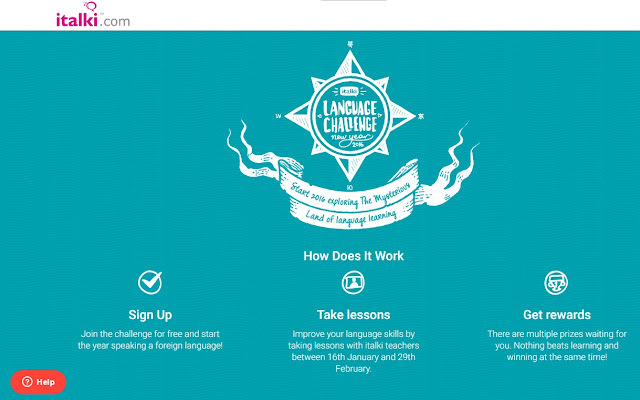 Win the chance to participate in a webcast with popular polyglots like Olly Richards and Richard Simcott if you have finished 20 hours of lessons. Moreover, you will also get online access to the movie "The Hyperglot", an inspiring movie that no language learner wants to miss. The rewards are not done yet, you will also get what is offered for Language Tourist. You will be able to display your language skills with Italki stickers and also win an Italki shirt that will help you start conversations like a boss! You will also get a flashlight pen! 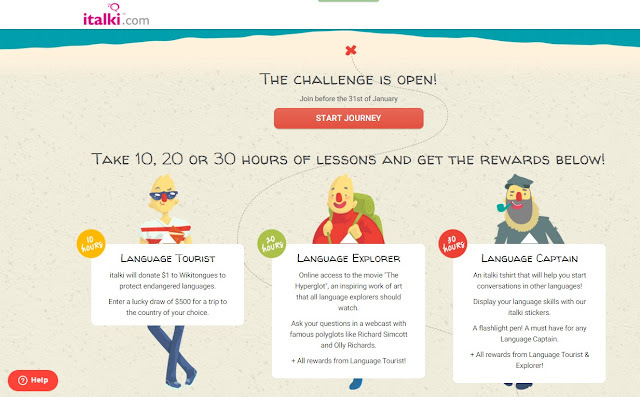 Those are not all yet, you can also get all of the rewards from Language Tourist and Explorer! I mentioned last time that I shall focus on learning Russian this year. So, shall I take Russian lessons in this challenge? I haven't made up my mind yet because I have the rest of this year to focus on learning Russian, meanwhile, I have only several hours in this language challenge. Would it be better if I take lessons to improve languages that I have known? Or learn a new language, in this case, Russian? 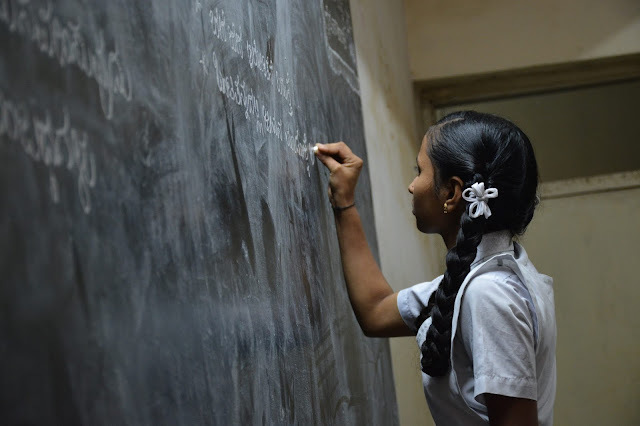 Anyway, don't wait any longer, click here for registration, and learn any languages you want with abundant professional teachers and tutors from around the world. Good luck!